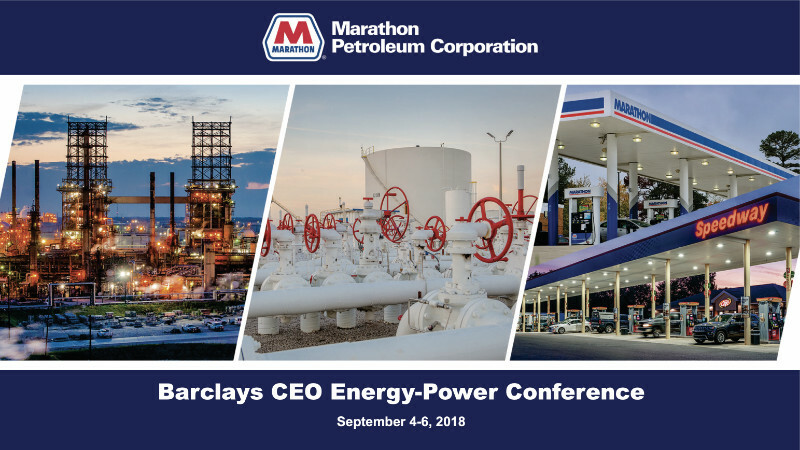 Marathon Petroleum Corporation (NYSE: MPC) is a large-scale geographically-diversified and highly -integrated refining, marketing and midstream company. MPC is the nation’s largest refiner, with a crude oil refining capacity of more than 3 million barrels per calendar day in its 16-refinery system. In the past year, Marathon acquired Andeavor and between Marathon and Andeavor assets has become a primary player in renewables, although no fan of ethanol mandates.